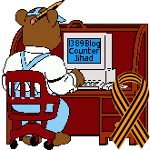 Centennial of genocide sharpens grief for local Armenians; BHO sells out — 1389 Blog - Counterjihad! Tamar Hajian was raised on her grandparents’ memories of the mass killings of Armenians during World War I, the executions and death marches that Armenians call the “great crime.” Her grandmother went door-to-door in search of orphans, making the sign of the cross in a show of kinship. “This is so embedded in you growing up,” said Hajian, a retired attorney who lives in Needham. Personal accounts of what is widely known as the Armenian Genocide have been passed through the generations, relatives say. This week, Armenians will mark the centennial of the genocide, gathering to remember the 1.5 million victims and renewing calls for formal acknowledgment by the Turkish government that the killings were a crime. In the Boston area, home to the country’s second-largest Armenian community, with some 30,000 residents, the anniversary at once sharpens long-held grief while bringing renewed hope for accountability and resolution. The Turkish government has long denied that a genocide took place, saying the death toll is exaggerated and that many Armenians died from starvation or disease amid the upheaval of the war. But the consensus of historians is that the Turkish government set out to eliminate the Armenian Christian minority, and that three out of four Armenians living in the Ottoman Empire were killed. Descendants of Armenian survivors describe the lack of universal recognition as an open wound, a lingering outrage that denies justice and healing, even a century on. As they pay tribute to the victims and honor the legacy of Armenian survivors who were driven from their homeland, they remain hopeful that Turkey will one day accept responsibility for its crimes, and that the massacres will one day be called by their rightful name. “Turkey cannot continue to create the myth that nothing happened,” Hajian said. When World War I broke out, Turkish leaders targeted the Christian Armenian population under the pretext that they would cooperate with the Russian enemy. Earlier this month, Pope Francis described the mass killings as the “first genocide of the 20th century” and called for international acknowledgment. “Concealing or denying evil is like allowing a wound to keep bleeding without bandaging it,” he said. WASHINGTON, DC – President Obama’s Chief of Staff Denis McDonough and Deputy National Security Advisor Ben Rhodes confirmed to Armenian American leaders, during a White House meeting this afternoon, that the President has chosen against recognizing the Armenian Genocide in his April 24th statement marking the worldwide centennial of this crime. Following the meeting, the White House put out a read out for the discussion, the full text of which is provided below. No surprise that Barry won’t say a word. He’s BFF with Erdogan. Arabic is the only language they have in common. They don’t use an interpreter. The Hussein is a muslim. Once one admits this fact, all else he does is so easily explained.